Barcelona coach Ernesto Valverde insisted he had no regrets over his decision not to play Lionel Messi despite his side's 2-0 loss to Sevilla. Messi was rested for the first leg of the Copa del Rey quarter-final on Wednesday and goals from Pablo Sarabia and Wissam Ben Yedder put Sevilla on top in the tie. 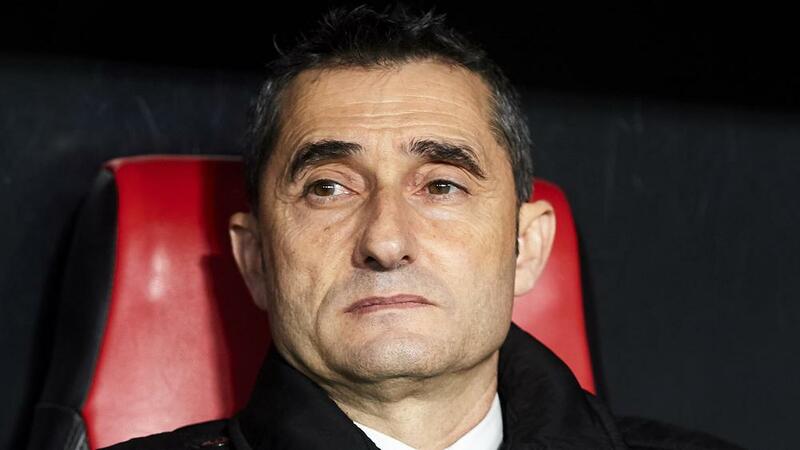 But Valverde said keeping the Argentine superstar on the sidelines was the right decision. "I do not regret it. It is what I had to do," he told a news conference. The LaLiga leaders have work to do in the second leg at Camp Nou on January 30. Asked if he would play a stronger team, Valverde said he was unsure, with Barca facing a trip to Girona on Sunday before the return clash. "We have to wait. Today I made changes. I thought it was the best and when you change, you know that you risk," he said. "And when you win you're right and when you lose you're not. "There is an important game on Sunday that we want to win and we will think about the return."